2017 is the second year we hosted a Walk for Little Feet at the Pretoria campus and our walk this year had so much enthusiasm! It was exciting to see so many from our church come out to walk 5Ks around Pretoria West and enjoying celebrating together afterwards. The area our church is in isn’t used to seeing people marching through the streets, so we know we helped bring Life Child awareness to many of the shops and businesses along the route. Some of our walkers even took it upon themselves to ask people along the way for donations and they significantly increased the funds we were able to send to support Life Child. 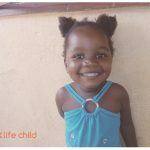 We are looking forward to hosting our third walk next year with an even greater turn out and increased understanding of how Life Child is helping children and families one life at a time!